Forrest Mosten is recognized internationally as an expert in collaborative legal representation for clients who wish personal, confidential and effective legal help in resolving family issues. 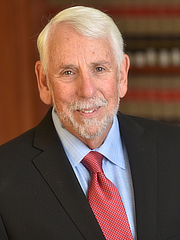 He is a member of the International Association of Collaborative Professionals, the Los Angeles Collaborative Family Law Association, Alliance for Family Centered Divorce, and is the Advisor to Pasadena Affordable Divorce. He adheres to Collaborative Principles and Guidelines. Mr. Mosten also offers training to other Collaborative Lawyers, Mental Health Professionals, and Financial Professionals worldwide. Click for more information on training. Download a list of reasons collaborative law could be the best process for you and your entire family. I encourage all divorcing and divorced parents to do the work on UpToParents.org before going into any mediation or collaborative settlement session. I also recommend that parents use the Association of Certified Family Law Specialists and OurFamilyWizard.com as resources for developing parenting plans to help their children. To view a 20 minute film on Collaborative Divorce with real divorcing parties produced by the International Academy of Collaborative Professions, please click here. To see a video explaining Collaborative Law by Social Worker, Gary Direnfeld of Toronto, please click here. Also, take a look at Mr. Mosten’s recent book … Collaborative Divorce Handbook: Effectively Helping Divorcing Families Without Going to Court (Jossey Bass, 2009). You may wish to start with Chapter 2, What It Is and How It Works. On November 10, 2017, Woody gave the Siben Lecture at Hofstra Law School in New York on Interdisciplinary Teamwork in Family Law Practice. View his lecture here and read his draft article (with Lara Traum) for Family Court Review (July 2018). Forrest Mosten is recognized internationally as an expert in collaborative legal representation for clients who wish personal, confidential and effective legal help in resolving family issues. He is a member of the International Association of Collaborative Professionals and the Los Angeles Collaborative Family Law Association. He adheres to Collaborative Principles and Guidelines and the California Collaborative Statute in every matter, even when the other party is represented by an attorney who is also a litigator. In addition to representing clients in the collaborative model, Mr. Mosten will never accept court engagements and will treat you and your spouse with dignity and respect. He is committed to reducing conflict and helping you and your spouse and your children get through the divorce and start rebuilding your lives. Mr. Mosten is recognized as a leading international authority on Collaborative Practice. His book, Collaborative Divorce Handbook is a leading treatise in the field and he has published many articles on this client service. Please click here. He has written articles on informed consent for clients that have been published in the Journal of Dispute Resolution in 2008 and has co-authored a major article on Screening Collaborative Law Cases with Professor John Lande that shall be published in the Ohio State Law School Journal in Dispute Resolution in 2010. Mr. Mosten is the Editor of the Special Issue on Collaborative Law to be published by the Family Court Review in 2011 and shall be a major presenter at the International Academy of Collaborative Professionals Forum in October 2009. (a) If a written agreement is entered into by the parties, the parties may utilize a collaborative law process to resolve any matter governed by this code over which the court is granted jurisdiction. (b) "Collaborative law process" means the process in which the parties and any professionals engaged by the parties to assist them agree in writing to use their best efforts and to make a good faith attempt to resolve disputes related to the family law matters as referenced in subdivision (a) on an agreed basis without resorting to adversary judicial intervention. You and your Spouse have a choice as to the design of your family's divorce process. Mr. Mosten will help you design a process that fits your needs and that you can afford. Collaborative Professionals can work in an integrated interdisciplinary approach to meet the emotional and financial challenges of your divorce. Mental Health Professionals trained in the collaborative process can serve as emotional and parenting coaches for you and your spouse to prepare you both to deal with communication problems and emotional crises during the process. CPAs and Financial Planners can be part of the collaborative team to amicably and efficiently help you and your spouse to inventory and value property, determine income and budgetary needs for child support and spousal support, and provide tax advice. The parties and the entire Collaborative Team work together to accelerate the settlement process and keep your transaction costs down so that you and your spouse can begin rebuilding your lives in your post-divorce reorganized family. If you and your spouse feel that you have a grip on emotional/financial issues (or are getting help elsewhere), Mr. Mosten and your spouse's collaborative lawyer can "unbundle" the Collaborative Team and work together with you and your spouse. If financial or divorce coaches are needed, you and your spouse can bring in these professionals as mutually agreed upon. As a member of the LACFLA Collaborative Practice Group, Mr. Mosten is committed to the Principles and Rules of Collaborative Practice and is ready to form a collaborative legal team with your spouse's attorney. Mr. Mosten is prepared to provide information on the benefits of the Collaborative Process and possible referrals of other collaborative attorneys to your spouse. In some situations, you can invite your spouse to meet with you and Mr. Mosten to learn about collaborative law and to discuss other possible approaches to settlement. As Mr. Mosten formerly litigated family law matters for over 30 years, he is experienced and prepared to represent you in settlement discussions even when your spouse's attorney may take adversarial positions or threatens court action against you. If your spouse and/or his/her attorney are unwilling to compromise, Mr. Mosten would refer you to a family law litigator in whom Mr. Mosten has confidence. Mr. Mosten is committed to first attempting a reasonable and collaborative approach and works tirelessly toward settlement even when court does not look as if it can be avoided. Mr. Mosten has found that it is rarely too late to offer your spouse the collaborative option to resolve conflicting issues. If he feels that you need to modify your own position or make additional compromises, Mr. Mosten will frankly and confidentially provide you advice and resources (even if you are initially resistant). However, Mr. Mosten will not permit your legal, financial or parenting position to be put at risk and will try to not allow you to unfairly face coercion or leverage by your spouse who may be using the court system against you. 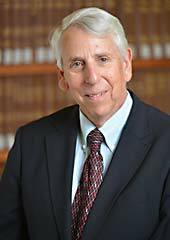 In such situations, Mr. Mosten will promptly advise you to obtain litigation counsel to balance the playing field. However, you may wish to continue to be available to you to advise you of possible settlement and mediation opportunities. Talking with … Woody Mosten, Part 1 Woody and carl Michael talk about Collaborative Practice as a Consumer Service Product, the value of client involvement in designing the support they need from the CP process, the role, if any, sharing personal details and war stories by the professionals and more. Talking with … Woody Mosten, Part 2 Woody and carl Michael talk about educating the public vs. teaching our colleagues about Collaborative Practice and the depths to which that public education can go, even toward preventing conflict; and Woody shares a bit about his own journey into Peacemaking, how the paradigm shift manifests, and about various expansions to meet clients needs while still remaining focused on peace, including incorporating litigation consultants and talk of potential outcomes in court. Talking with … Woody Mosten, Part 3 Sometimes even the best intentioned professionals’ Collaborative efforts can deteriorate into basic negotiations. From building an agreement together, things lapse into exchanging proposals. How can we avoid that and what can we do to return if it happens? This is the question that guest Billie Grissom brings as we continue our conversation with Woody. Deferral to the needs of the client, our own personal growth, the indispensable value of our CP ‘group’ are among the topics embraced in connection with her question. We even meet Woody’s “Dispute Resolution Assistant” Rebecca. Talking with … Woody Mosten, Part 4 Guest Stacey Langenbahn has stepped out of her comfort zone big time. She is offering Mediation services in a way that is uncommon on her home turf. We discuss the elements of Collaborative Practice that contributed to her step. And along the way, a little bit about the challenges of ‘standing out’. Talking with … Woody Mosten, Part 5 How does a new trainee break into Collaborative Practice? How do Collaborative Practice and Mediation ‘relate’? Is one necessary or sufficient for the other? These questions are at the center of our discussion today. Talking with … Woody Mosten, Part 6 “I’m ‘collaborative’ and you’re not.” How do we work then that comes up? What does it mean? These questions are at the center of our discussion today. We first cover the situation of one professional not having received even Basic Collaborative Practice training. We talk as well about the role Practice Groups can play here. And we found that this is a topic that will likely carry us through several sessions. Later in the conversation we also talked about how that interplays with the differing challenges facing the members of each profession approaching Collaborative Practice. Talking with … Woody Mosten, Part 7 What skills and attitudes are involved in being a Collaborative Practice professional? In being a ‘peacemaker’? How do we work with others who might have ‘slipped’ from their best attitudes and skills?